Ok, so last week we looked at what intervals are and how we could use them to build a few chords. This week I want to look at the Major scale and its modes. Root, Major 2nd, Major 3rd, Perfect 4th, Perfect 5th, Major 6th, Major 7th and Octave. Notice how they all just start and finish 1 note higher? 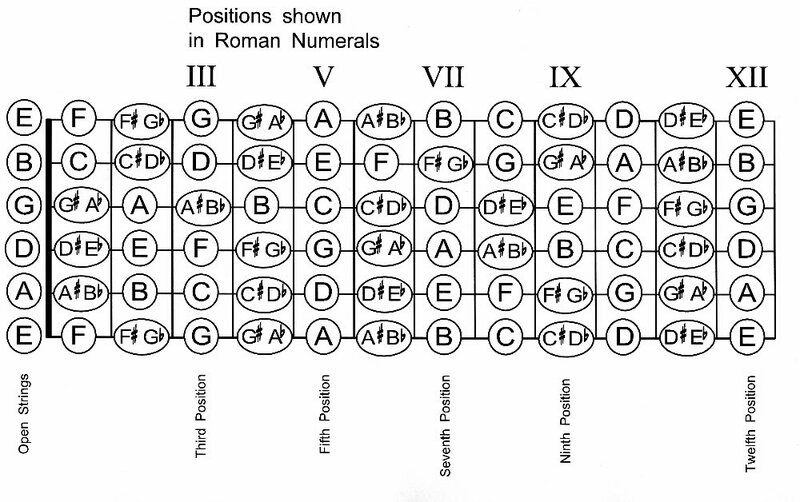 Root, M2, m3, P4, P5, M6, m7, Octave - this means if we flatten the 3rd and 7th of the Major scale we have the Dorian mode. Root, m2, m3, P4, P5, m6, m7, Octave - flatten the 2nd, 3rd, 6th and 7th of the Major scale we have the Phrygian mode. Root, M2, M3, Aug4, P5, M6, M7, Octave - sharpen the 4th of the Major scale to get the Lydian mode. Root, M2, M3, P4, P5, M6, m7, Octave - flatten the 7th of the Major scale for the Mixolydian mode. Root, m2, m3, P4, Dim5, m6, m7, Octave, flatten everything except for Root, 4th and Octave of the Major scale for the Locrian mode. Each mode has its own individual 'flavour' to it, which we will go into more depth on in the next few lessons. What intervals are and how they affect chords and scales. Knowing what intervals are can be massively beneficial to you when you start looking at extended chords (e.g. Maj7) and different types of scales and modes, because they will allow you to understand why certain chords work well together and why certain notes clash with other notes. To build a Major chord we ALWAYS use the Root, Major 3rd and Perfect 5th. To build a minor (Am) chord we ALWAYS use the Root, minor 3rd and Perfect 5th. To build a diminished (A°) chord we ALWAYS use the Root, minor 3rd and Diminished 5th. I also want to look at the construction of a few other common chord types. These 3 note chords are all called triads, now I want to quickly look at some tertiary chords (or extended chords) these contain 4 different notes instead of 3. This is all very confusing at first but if you start by playing a I V IV progression and replacing one of the chords in it from this set of chords, you should hopefully start to see and hear the benefit. Ok, so last week we looked at how to find the major scale from the chromatic scale. This week we're going to look at how the major scale can affect what chords work well together. Whereas a minor chord will have a small 'm' next to it. We now know that all of these chords will fit into the key of C Major. Obviously the world of music theory can be very complicated, so I'm going to be posting a few lessons over the coming weeks/months to show how we can use some simple concepts in a very practical way. Remember every note except B and E have sharps! Got that? Great, for the next step we're going to start from the 'C' note and we're going to follow a very simple formula (which never changes!) to find the major scale from that chromatic scale. The root note is he very first note of the C chromatic scale, we then jump 1 tone (2 frets/notes) to find the next note of the scale, which is D, we then jump another tone to find E, and then a semitone (1 fret/note) to find F, then a tone to G, a tone to A, a tone to B, and finally a semitone to bring you back to C.
In the next lesson I'll explain how we can use this rule to build some simple chord progressions! 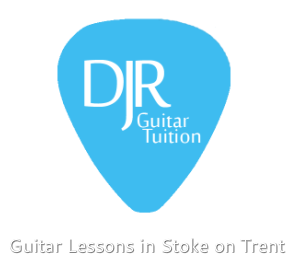 Last Friday (14th March) one of my students, Vick and I had a visit to GuitarGuitar in Birmingham. Vick had put a deposit down on a Burns Apache guitar, so we went down to pick it up and he asked me to come with him to give my thoughts on the guitar before he committed to buying it. The guitar was fantastic, especially for the price that he paid for it, there wasn't a scratch on it and it had all of the original case candy. My favourite feature was the lovely flamed maple neck (which I forgot to get a picture of!) Whilst we were there I spotted something that I liked myself, a Suhr Modern, with a Bengal burst finish and the Guthrie Govan specs. Of course I couldn't say no trying it. So there I was, sitting with one of the most beautiful guitars I have ever seen, plugged in and ready to shred... but something about it just didn't feel right, I felt very underwhelmed by it, especially for a £3000+ guitar! So unfortunately I left empty handed, but Vick walked away with a stunning guitar which I am sure he will enjoy for years to come! Vick enjoying his new guitar.